Here is a picture I took after I pulled over to a turnout on the way back. We arrived at Big Bear Frontier before 11 AM. At an altitude of 7,000 feet, it was much cooler than back home in LA. What a relief. Luckily the hotel was ready for us early. This lakefront establishment received Fido’s Favorite Award from BringFido this year. I had to check it out myself. Big Bear Frontier has a hotel and cabins. We stayed at the hotel which felt like a cabin. I’d love to stay in one of those cabins on the water next time! Plenty of grass areas were on the property and poop bag dispensers were a nice touch. We enjoyed staying there for two nights. It will be our go-to place when we visit Big Bear for sure. I unpacked and we hung out on the patio while waiting for Hazel. My sister was going to join us overnight. It was going to be a nice weekend. The rain was in the forecast next day. 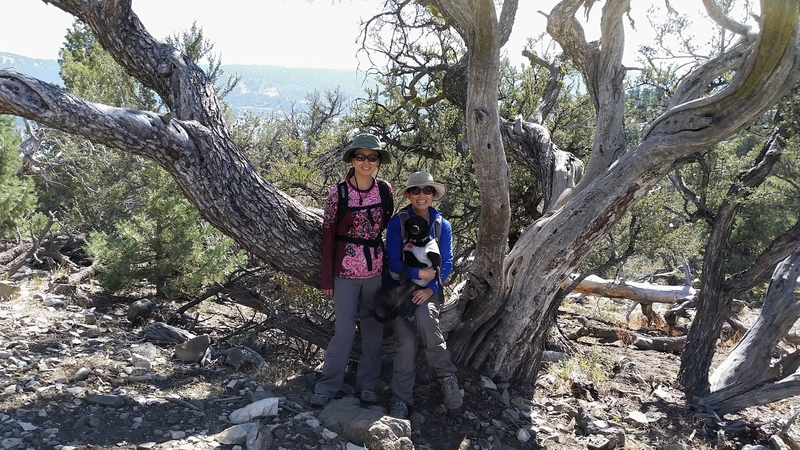 Hazel and I agreed that we should hike after lunch instead of doing it next morning. We walked to a BBQ place called Bone-Side Down Barbecue & Grill across the street. It’s a little shack with a BBQ grill outside. There was a white picnic table but we decided to take the food back to the room and eat on the patio instead. While we were waiting for our carryout, the woman who took our order came out with bits of brisket for the waiting dogs. Xena never had brisket before. I am sure her palette went into a shock. 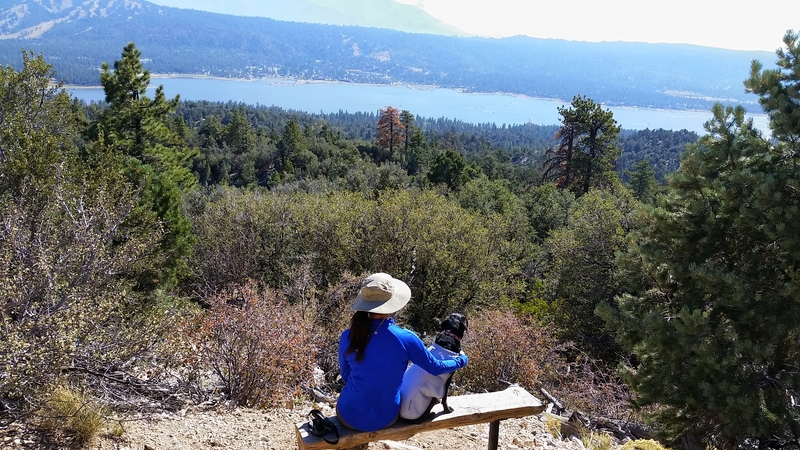 Big Bear is such a great place to travel with your dogs! I forgot to take a picture of our sandwiches. But, O-M-G, definitely not a healthy choice but an excellent choice! Both pulled pork and brisket sandwiches were the best I ever had. My mouth is watering from just thinking about them right now. It’s a must try. We drove less than 5 miles to Big Bear Discovery Center. There is a parking lot at the trailhead as well but we wanted to add more mileage by starting from the discovery center. There was a sign near the entrance says the discovery center is pet-friendly, asking the visitors to not leave their pets in the car. 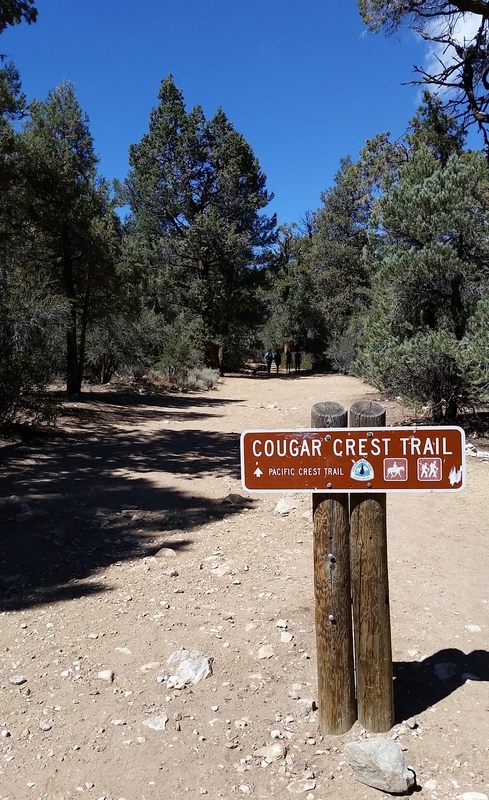 After using the restroom, picking up a map of nearby trails and getting pet by little kids (Xena only), we followed the sign for the Cougar Crest Trail. The trailhead was only 0.6 miles away. First thing I noticed on the trail was the scent of pine trees. Ahhhh This trail is popular so we came across plenty of human and canine hikers but it never felt crowded. 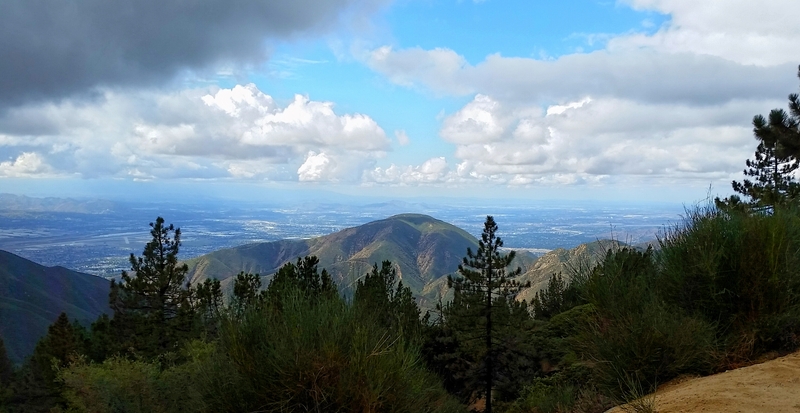 We couldn’t ask for a better weather for this hike. We had a great view of the lake once we reached a certain altitude. Xena and Hazel are waiting for me in the shade thinking they are not in the picture. Ha! 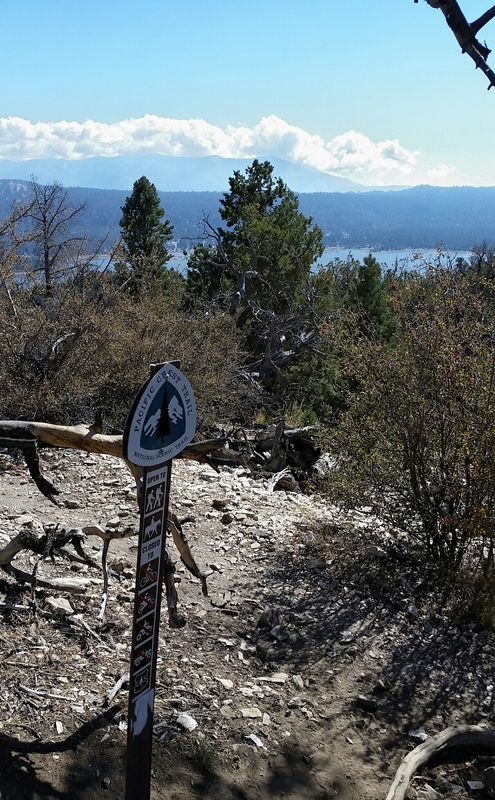 Due to the popularity of the trail, the trail is well maintained. or is it the other way around? We came across a section where about 25-30 volunteers were working together to restore a section of the trail. How nice. I would love to do that! Cougar Crest eventually meets Pacific Crest Trail (PCT). 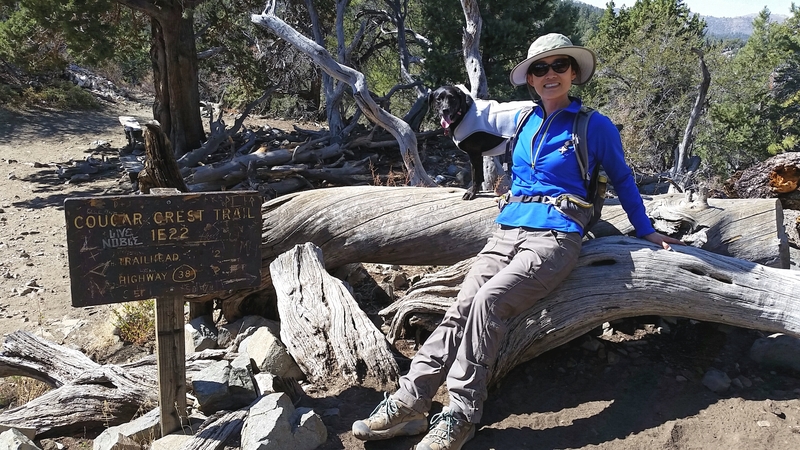 If you go about 1.5 miles more on PCT, you will reach Bertha Peak. However, we made this as our turnaround point as we needed to get back to get ready for our dinner reservation. Next time! 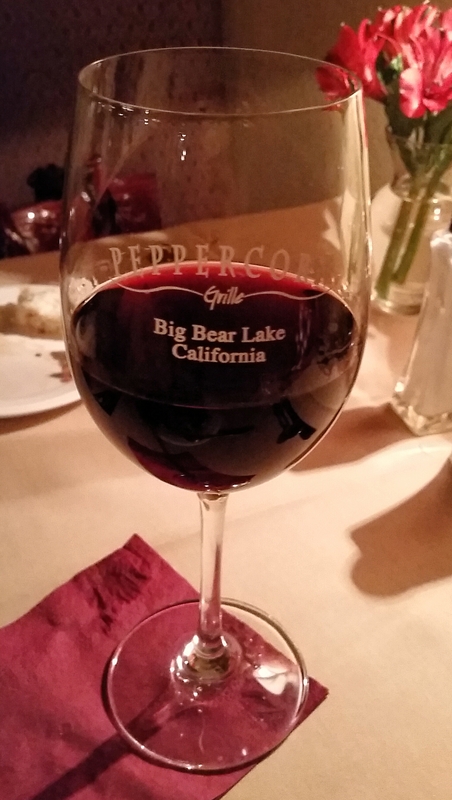 We had a lovely time at Peppercorn Grille. We had a seafood pasta and a pork chop. Both dishes were delicious and all ingredients were very fresh. Service was great too. They were happy to accommodate my food allergies. We both gave the dinner experience two thumbs up. Next day, though it did rain, Xena and I still enjoyed exploring the lake. You can check out my previous post – Rainy Day in Big Bear. Carry chains at all times from November to April. Be prepared to show chains at all times. Adventure Pass is required to park at the Cougar Crest trailhead parking lot. You can buy it at the Big Bear Discovery Center. 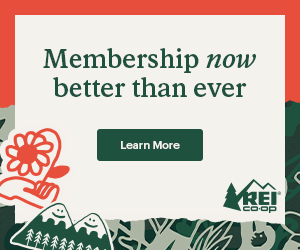 A daily pass is $5.